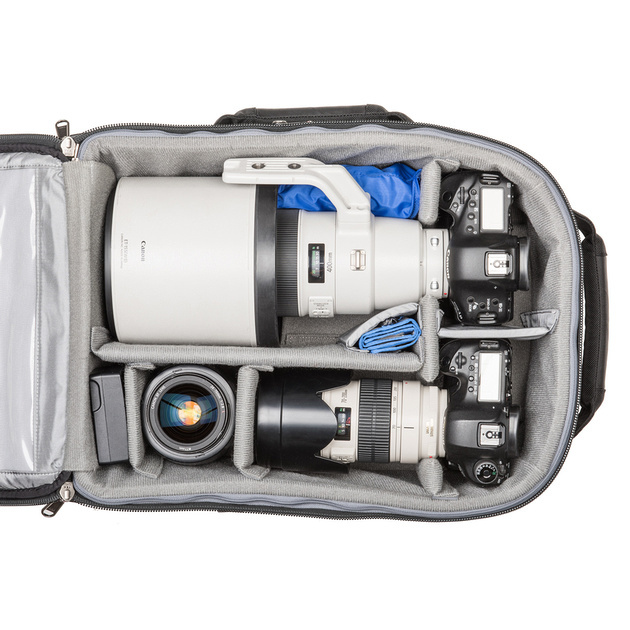 Whenever I travel and need to bring a lot of gear, my favorite bag for the task has been my ThinkTankPhoto Airport Security v1 bag that I picked up in 2010. It's been to Europe, Asia and quite a few places in North America on tiny puddle jumper planes to the biggest commercial aircraft in the skies. 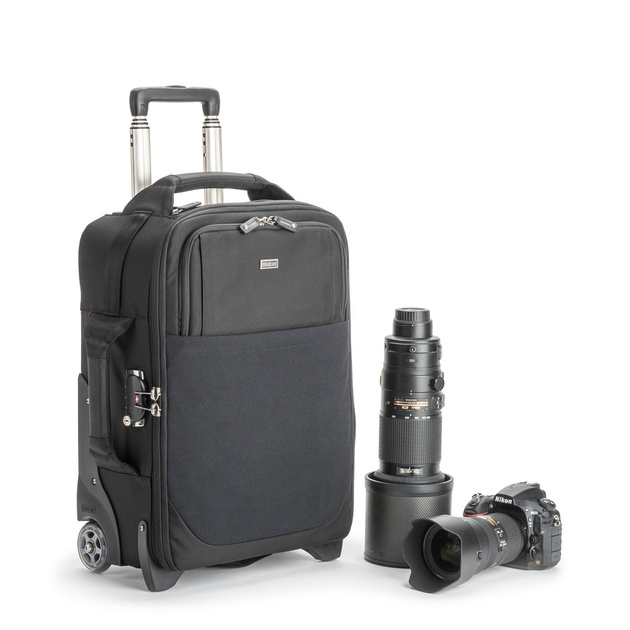 To say that I love this bag is an understatement, but it's quite big and new aircraft are offering smaller overhead storage. 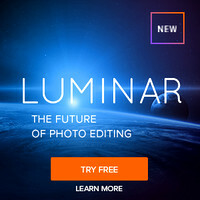 To address this need, Think Tank Photo has created a new International bag that is designed to fit in the overhead bin on most commercial planes both foreign and domestic, while still holding quite a bit of gear. Realistically this is a great size that should meet the needs of most travel photographers, and if you are like me I keep my chargers in my clothes bag so that'd easily allow for another lens or flash. 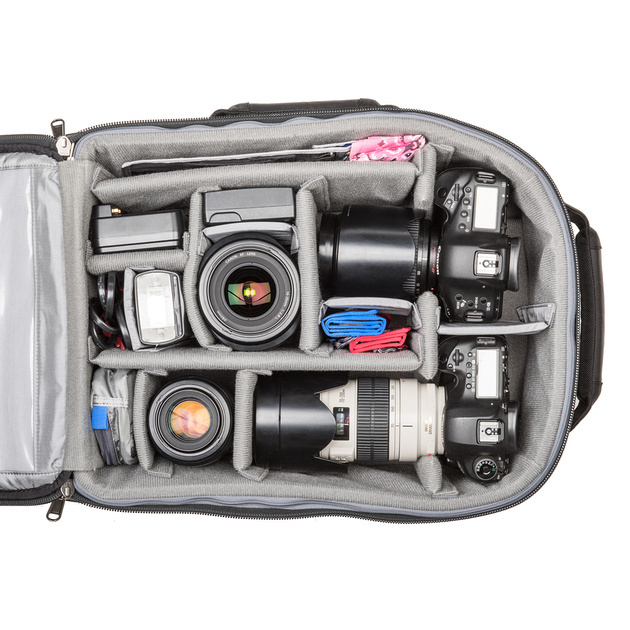 My favorite feature of my Airport Security v1 was the fact that it had a backpack strap so I could carry it on my back when rolling it wasn't practical (I.e., gravel, cobblestone roads, and stairs at some airports and train stations in Asia & Ireland). Sadly backpack straps have been removed from ALL Airport series bags, so I'll have to stick with my old bag if I want that feature, so I don't consider this a suitable bag to upgrade to if you have the older ones. With that said, the quality of this bag appears to be greater than my old bag which is saying a lot as I have ZERO damage from a bag that has enough flights that it could earn Gold status on Delta and United on its own. 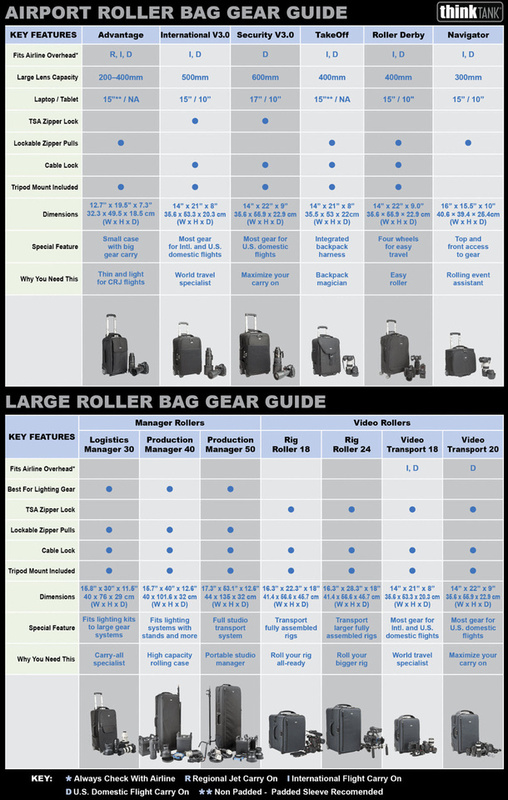 If you are looking for a good roller bag that can stand a beating, rolls smooth as silk even when loaded with 50+ lbs of gear, and one that will fit nicely in an overhead bin (when inserted per the flight attendants instructions) then this is it. These are great bags that have been improved and are SIGNIFICANTLY better built than any piece of luggage I've ever purchased from a department store. For that reason, I can HIGHLY recommend this bag. 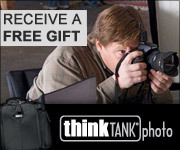 CLICK HERE to learn more or buy the ThinkTankPhoto Airport International v3.0 today.